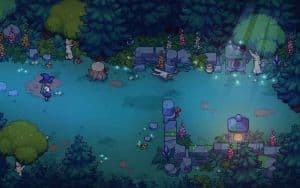 Spellbound: Everything We Know About Chucklefish's Magic School Game | Nerd Much? While I was holed up in my room with the flu last week, I decided it was a good time to open up Stardew Valley on the Switch and start a new farm. And, because it’s impossible to play Stardew Valley casually, this became my life for the next 5 days of my self-imposed quarantine. Such is my love for Stardew: now that I’m better, I’m finding it difficult to quit and return to the real world. 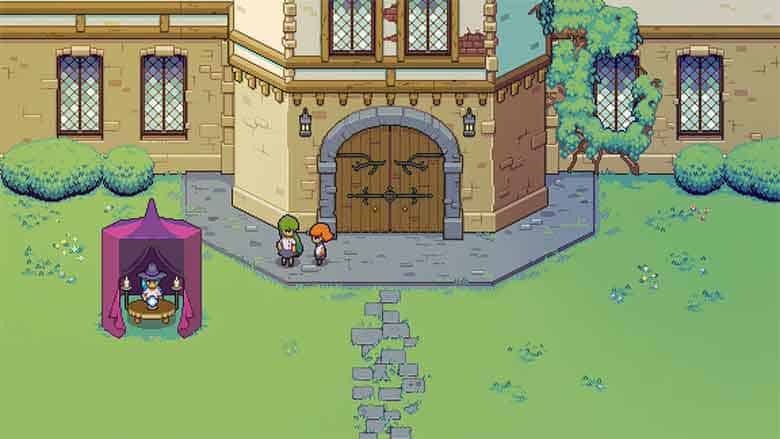 So, between that and my fanaticism for Harry Potter, imagine my excitement when I learned that a MAGIC SCHOOL RPG/SIM was in the works from Chucklefish (the publishers of Stardew Valley). CEO Finn “Tiyuri” Brice first alluded to Spellbound (working title) in a tweet back in January of 2017. Obviously, they were influenced by Eric Barone’s Stardew Valley, as you can tell from the art style; but, as lead designer Rosie Ball states, “A school operates very differently to a town.” So that particular influence will manifest in a more general way; i.e. the overall feel of the world, and the “casual-yet-addictive” (Red Bull) quality that Stardew is famous for. Another interview with PC Gamer in October revealed more information about the current state of the world, the characters, and the dating system. Don’t expect the same starry-eyed romance that you’re used to in the idyllic Stardew Valley; you are, after all, playing as an adolescent this time. According to Brice, they’re “taking that idealised heroism away from you and you’re just another awkward teenager”. In other words, if you mess up, you might just get dumped. We have an entire game world, and in fact the entire game world minus a couple of areas is entirely explorable, and you can move around it. We have our entire cast of characters. We know far too much about all of their personalities. That sounds promising, but don’t get too excited just yet, because he also says that a formal announcement is “maybe quite a way off”, and suggests that it’s “around a three-to-four year project in total”. In typical Chucklefish fashion, though, they are being entirely transparent with their development process, so expect to be updated every step of the way. Players should expect to build up their magical proficiency by undertaking school projects. This might have them growing magical crops and creatures in herbology or taking on the denizens of the forest in elemental magic. School life is just as important as magic however; a lot of time will be spent meeting and befriending the varied cast of characters, taking on quests, awkward attempts at dating and a host of side activities. 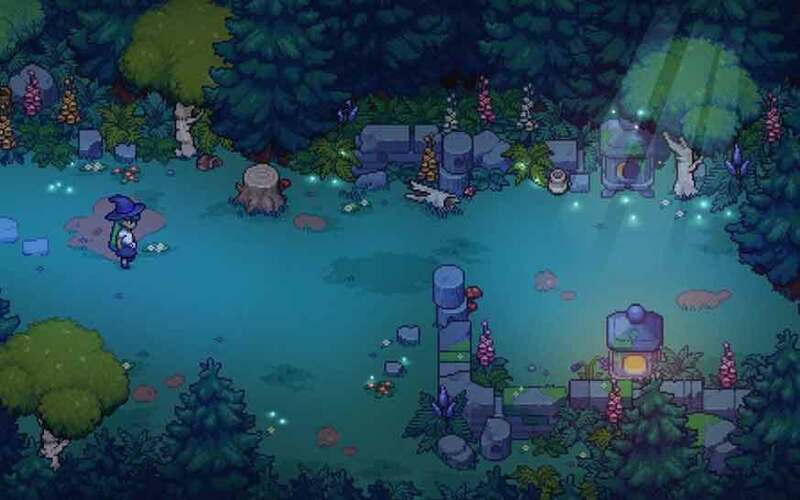 He then mentions being able to unlock spells to utilize in the game’s forest dungeon, where you can earn loot; so, like the mines in Stardew, it seems there will be one specific area dedicated to combat. There is currently no release date, nor even an official title; right now, the team is referring to it as Spellbound because of their recent space exploration game Starbound, but that may or may not be the final title. Right now, it’s only officially planned for a PC release, but Brice has stated that they’re not ruling out other platforms (including Nintendo Switch). In the meantime, we have turned-based strategy game Wargroove to look forward to, which is slated for release later this year. Want to know what other games we’re excited about here at Nerd Much? Check out our mega list of our most anticipated games of 2018.